Research shows us that acupuncture increases endorphin output (which accounts for the relaxation patients feel during and after treatment) but clearly there are other mechanisms of action, not yet well understood, which bring about therapeutic benefit. Sometimes leads are attached to the needles and a small electrical current is passed through them. The sensation may be barely perceptible but the needle is made to vibrate gently and stimulate the underlying blood vessels and tissues. The treatments designed to increase blood flow to the uterus and ovaries often use this approach. 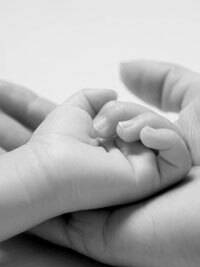 The acupuncturists who work in the acupuncture IVF support clinic are all hand picked, and trained in this specialty. They are all graduates of universities in Australia, hold a degree in Chinese medicine and are accredited by national professional associations. Yes, one group of IVF researchers working in the United States found that when they treated women with laser acupuncture (no needles at all), they got a higher implantation rate than with traditional acupuncture. Whether the other benefits of acupuncture (anxiety reduction, and regulation of stress hormones) occur with laser acupuncture, has not yet been tested.